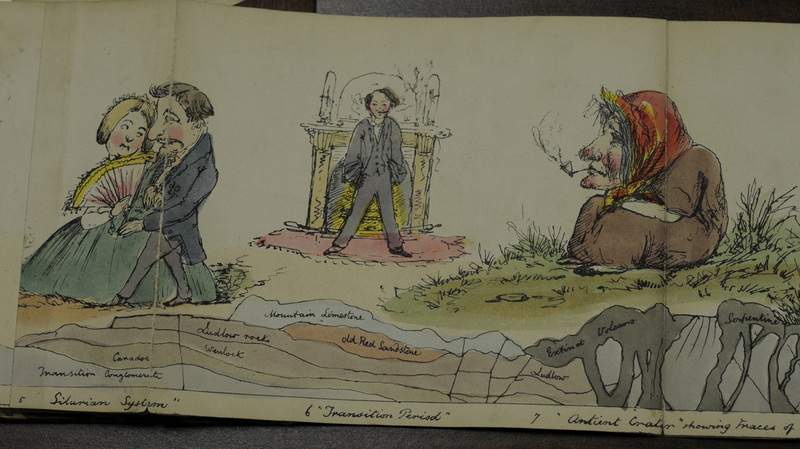 Images from: Webber, Charles W. Geology Familiarly Illustrated. 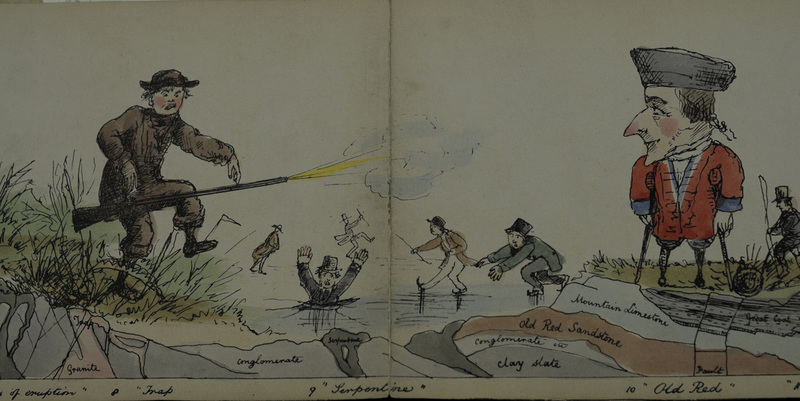 London: J.B. Goodinge, 1859. 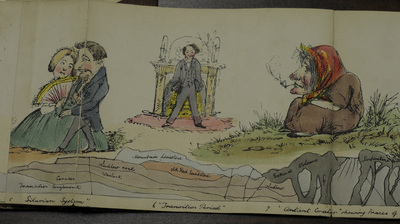 This panorama consists of hand-colored drawings illustrating features of stratification.